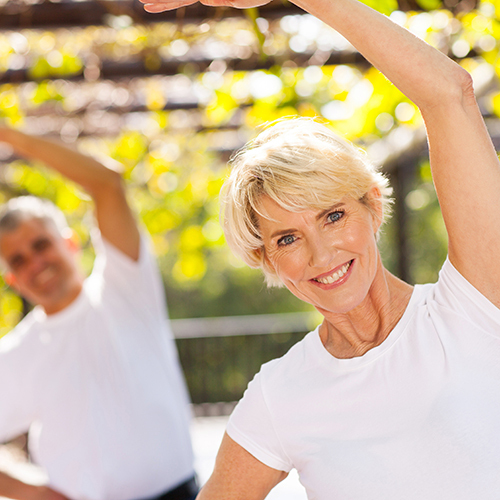 The Feldenkrais Method teaches improved posture, balance, relaxation and coordination with gentle movements designed to improve performance, injury recovery and injury prevention. Experienced Feldenkrais practitioner and CAE tutor Ralph Hadden shares four tips to help you unwind. While sitting quietly on a chair or on the floor, take a few moments to observe the sensations you are experiencing and notice the contact you make with your support, such as your bottom touching the seat. Pay attention to your eyes (open or closed) and observe which direction are you looking and how your eyes feel. Focus on your breathing and notice the slight change of shape and position as your breath comes in and out. You can also do this in bed at night or when waking up. Just pausing, quieting yourself and observing is very calming, and improves your mind-body connection. Take a moment to rest on the floor if you have a sore back or if you’re feeling overworked or stressed. Lie on your back on a firm and comfortable surface (such as a carpeted floor). A firm surface is better than a soft bed because your body will feel the solid support and release into it. Place a folded towel under your head (if you need to) to have your head resting at a comfortable angle. Bend your knees up, keeping your feet flat on the surface and let your weight surrender to the floor. Observe yourself, as in tip 1, sensing where the back of yourself touches the floor, noticing your eyes and feeling your breathing. When sitting at the computer for an extended amount of time, your neck can easily stiffen up as you concentrate on the screen. Do a tiny nodding movement as you read (imagine you are saying, “Mm, yes, that’s interesting”). The movement must be minimal, slow and gentle, so there is no feeling of effort. This will unlock your neck and help it stay free. 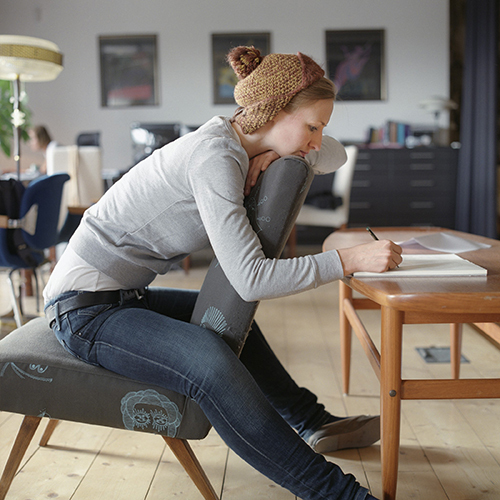 Sitting on a chair, it’s easy to fall into a slouching posture. An easy way to come out of your slump is to reach one hand up towards the ceiling, as if there was a delicious piece of fruit hanging from a tree. Look up and feel your chest lift and spread as you reach upwards. Go gently and easily, returning your hand and then reaching up with the other hand. Return then reach up high with both hands. Lower both hands but allow your body to stay comfortably upright before taking a breath and pay attention to how much easier it is to breathe when you are upright. Ralph Hadden has been teaching Feldenkrais in Melbourne, nationally and internationally, since 1988. He has over 40 years’ experience in movement and body therapies – as a practitioner, teacher and trainer of teachers. His sessions combine fun with serious learning, helping his clients achieve optimal health and performance at work and play. 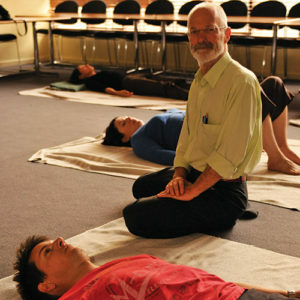 Ralph has taught and presented workshops for many organisations, businesses and sporting clubs including the Royal Australian College of General Practitioners, the Gawler Foundation, the Arthritis Foundation, CAE, RMIT, Breacan, radio 3AK, the Boite Singers Festival, AFG, Feldenkrais Interest Group (FIG) and Hepburn Spa. He also writes for journals such as Wellbeing and the Australian Association of Massage Therapists and currently edits “Feldenkrais Australia”, the national newsletter of the AFG Inc. Check out Ralph’s upcoming Feldenkrais: Good Posture, Naturally short course.